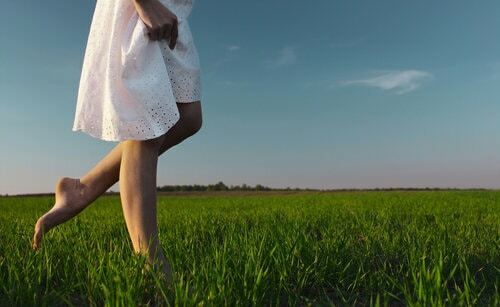 Because the Venous procedure we do here at the Advanced Vein Clinic is treating the medical cause of varicose veins, you will find varicose vein removal covered by insurance. A lot of physicians only treat the veins cosmetically; we are varicose veins doctor specialist and treat the source of the varicose veins. Some insurance require preauthorization-but we take care of that. No need for you to worry about anything except getting your legs better. 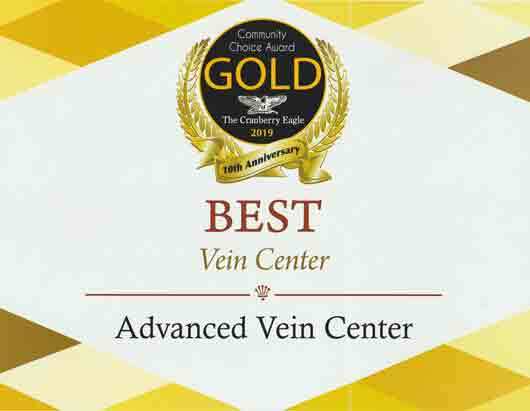 We provide the best doctor for varicose veins. Usually one Diagnostic Ultrasound per leg is all you need to begin a treatment plan, THIS IS GENERALLY COVERED EVEN IF PROCEDURES END UP BEING CONSIDERED NOT MEDICALLY NECESSARY. Depending on your insurance company’s guidelines cost of spider vein treatment varies individually. You are recommended to have one doppler ultrasound exam after each treatment and every six months to monitor your progress, as vein disease is chronic and progressive. 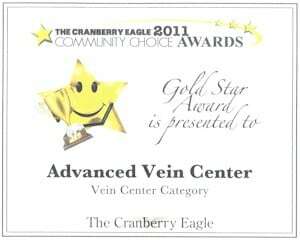 We have the best doctor for varicose veins and strive to please our patients and earn customer satisfaction. 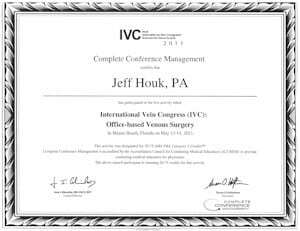 Most insurance carriers cover our varicose vein treatments. Individual co-pays, deductibles and coinsurances apply. Our staff is happy to assist with questions you may have. 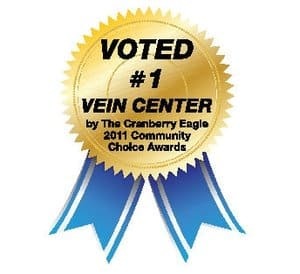 For your convenience, varicose vein doctors near me, we have 3 Surgical Centers located in Beaver, Cranberry Twp., & Butler PA.
Aetna considers the following procedures medically necessary for treatment of varicose veins when the following criteria are met: great saphenous vein or small saphenous vein ligation / division / stripping, radiofrequency endovenous occlusion (VNUS procedure), and endovenous laser ablation of the saphenous vein (ELAS) (also known as endovenous laser treatment (EVLT)). Severe and persistent pain and swelling interfering with activities of daily living and requiring chronic analgesic medication. Footnotes*Note: A trial of conservative management is not required for persons with persistent or recurrent varicosities who have undergone prior endovenous catheter ablation procedures or stripping/division/ligation in the same leg because conservative management is unlikely to be successful in this situation. Surgical ligation (including subfascial endoscopic perforator vein surgery (SEPS)) or endovenous ablation procedures are considered medically necessary for the treatment of incompetent perforating veins with vein diameter measured by recent ultrasound of 3.5 mm or greater with outward flow duration of 500 milliseconds duration or more, located underneath an active or healed venous stasis ulcer (also known as CEAP C5 or C6) (see Appendix). Endovenous ablation procedures are considered medically necessary adjunctive treatment of symptomatic accessory saphenous veins for persons who meet medical necessity criteria for endovenous ablation above and who are being treated or have previously been treated by one of the procedures listed above for incompetence (i.e., reflux) at the saphenofemoral junction or saphenopopliteal junction and anatomically related persistent junctional reflux is demonstrated after the great or small saphenous veins have been removed or ablated. Note: Initially, endovenous ablation therapy of the first vein and of the second and subsequent veins in each affected extremity is considered medically necessary when criteria are met. (Note: Thus one primary code and one secondary code for each affected leg are considered medically necessary for initial endovenous ablation treatment.) Additional endovenous ablation therapy is considered medically necessary for persons with persistent or recurrent junctional reflux of the greater saphenous vein, lesser saphenous vein following initial endovenous ablation therapy. (In order to authorize additional endovenous ablation, there should be documentation that the member continues to have symptoms and ultrasound showing persistent junctional reflux.) Additional endovenous ablation therapy may also be necessary for treatment of accessory saphenous veins as noted above. 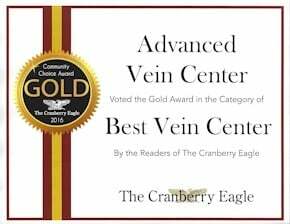 These procedures are considered experimental and investigational for treatment of varicose tributaries and accessory veins other than the accessory saphenous vein. 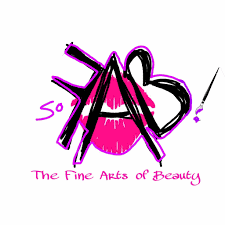 These procedures are considered cosmetic for all other indications. Note: Doppler or duplex ultrasound studies are considered necessary prior to varicose vein treatment to assess the anatomy and to determine whether there is significant reflux at the saphenofemoral or saphenopopliteal junction requiring surgical repair, and after completion of the treatment to determine the success of the procedure and detect thrombosis. Ultrasound guidance is inclusive of the VNUS or ELAS procedures. Note: The term endovenous catheter ablation (EVCA) is a non-specific term that refers to the several catheter based minimally invasive alternatives to surgical stripping such as radiofrequency endovenous occlusion (VNUS procedure) and endovenous laser ablation of the saphenous vein (ELAS). In assessing the medical necessity of EVCA, reference should be made to the specific technique that is being employed. Aetna considers liquid or foam sclerotherapy (endovenous chemical ablation) (e.g., Varithena) medically necessary adjunctive treatment of symptomatic saphenous veins, varicose tributaries, accessory, and perforator veins 2.5 mm or greater in diameter, measured by recent ultrasound, for persons who meet medical necessity criteria for varicose vein treatment in section I above and are being treated or have previously been treated by one or more of the procedures noted in section I above for incompetence (i.e., reflux) at the saphenofemoral junction or saphenopopliteal junction. Varithena has not been proven to be more effective than other methods of foam sclerotherapy.Sclerotherapy is considered experimental and investigational for treatment of reflux of the saphenofemoral junction or saphenopopliteal junction the because sclerotherapy has not been proven to be effective for treatment of junctional reflux. Sclerotherapy alone has not been shown to be effective for persons with reflux at the saphenofemoral or saphenopopliteal junctions; under established guidelines, individuals with reflux should also be treated with endovenous ablation, ligation or division of the junction to reduce the risk of varicose vein recurrence. Sclerotherapy is considered cosmetic for treatment of veins less than 2.5 mm in diameter and for all other indications.Note: Since ultrasound-monitored or duplex-guided techniques for sclerotherapy have not been shown to definitively increase the effectiveness or safety of this procedure, these tests are only considered medically necessary when initially performed to determine the extent and configuration of varicose veins. Ultrasound- or radiologically guided or monitoring techniques are of no proven value when performed solely to guide the needle or introduce the sclerosant into the varicose veins. Note: The number of medically necessary sclerotherapy injection sessions varies with the number of anatomical areas that have to be injected, as well as the response to each injection. 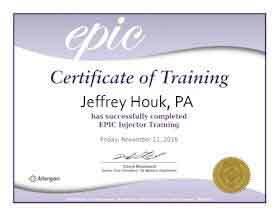 Usually 1 to 3 injections are necessary to obliterate any vessel, and 10 to 40 vessels, or a set of up to 20 injections in each leg, may be treated during one treatment session. 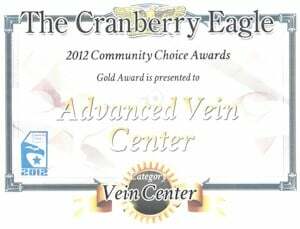 Initially, up to two sets of injections of sclerosing solution in multiple veins in each affected leg (i.e., a total of four sets of injections if both legs are affected) are considered medically necessary when criteria are met. (Note: A set of injections is defined as multiple sclerotherapy injections during a treatment session.) Additional sets of injections of sclerosing solution are considered medically necessary for persons with persistent or recurrent symptoms. Aetna considers photothermal sclerosis (also referred to as an intense pulsed light source, e.g., the PhotoDerm VascuLight, VeinLase), which is used to treat small veins such as small varicose veins and spider veins, cosmetic because such small veins are cosmetic problems and do not cause pain, bleeding, ulceration, or other medical problems. Aetna considers transdermal laser treatment experimental and investigational for the treatment of large varicose veins because it has not been proven in direct comparative studies to be as effective as sclerotherapy and/or ligation and vein stripping in the treatment of the larger varicose veins associated with significant symptoms (pain, ulceration, inflammation). Note: Although transdermal Nd:YAG laser has been shown to be effective for the treatment of telangiectasias and reticular veins, treatment of these small veins is considered cosmetic. Aetna considers endomechanical or mechanicochemical ablation (MOCA) (e.g., ClariVein) experimental and investigational for varicose veins because it has not been proven to be as effective as established alternatives. Aetna considers Asclera polidocanol injection as cosmetic; although Asclera has been approved by the Food and Drug Administration (FDA) for the treatment of telangiectasias and reticular veins less than 3 mm in diameter, treatment of these small veins is considered cosmetic. Aetna considers valvular reconstruction medically necessary for chronic venous insufficiency. Aetna considers micronized purified flavonoid fraction for the treatment of varicose veins experimental and investigational because its effectiveness has not been established. Aetna considers the VeinGogh Ohmic Thermolysis System experimental and investigational because of insufficient evidence of its effectiveness. Aetna considers the use of medical adhesive (also referred to as cyanoacrylate superglue, n-butyl-cyanoacrylate) (e.g., VariClose Vein Sealing System, VenaSeal Closure System) for the treatment of varicose veins experimental and investigational because its effectiveness has not been established. Aetna considers polymorphism genotyping of matrix metalloproteinases genes (e.g., MMP1, MMP2, MMP3, and MMP7) as markers of predisposition to varicose veins experimental and investigational because the effectiveness of this approach has not been established.